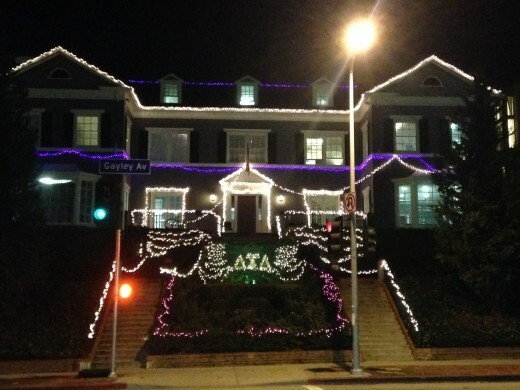 Each year, fraternity houses at UCLA compete in holiday light displays and are the object of much discussion. We at Mojo wanted to seal the debate with some factual evidence and entirely subjective ramblings. 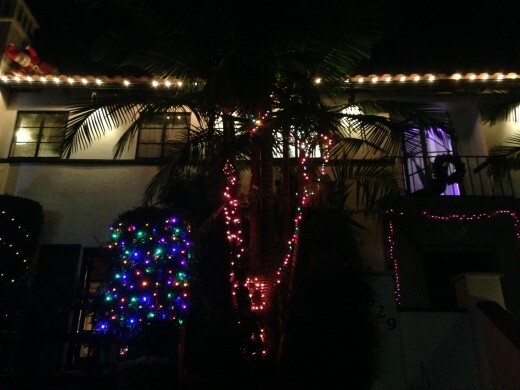 We bring you our definitive ranking of this year’s holiday lights, based on effort, aesthetic quality and originality, as seen on Friday. Oh hi, PIKE, didn’t see you there. 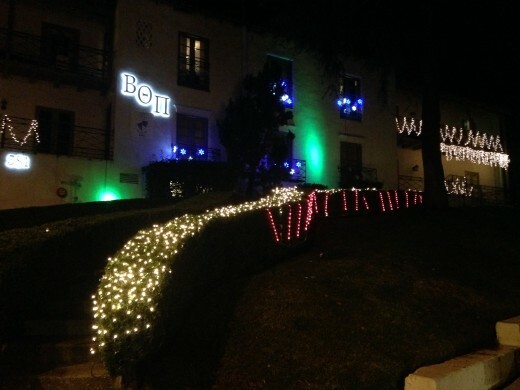 Yet another Grinch who almost ruined Christmas, Sigma Chi flaunts its jumbo painted letters, but there’s no sign of holiday lights. Bonus points: We did spot a (bare) Christmas tree through the gate, so there’s that. 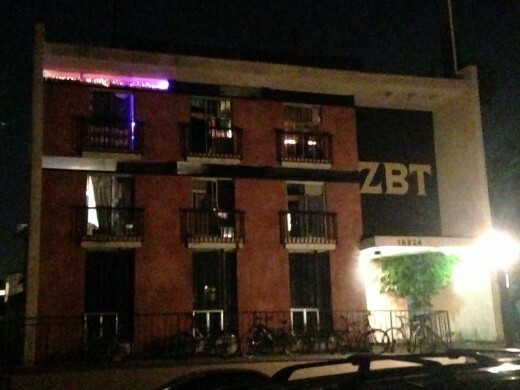 One lone room took it upon itself to compensate for ZBT’s shortcomings. 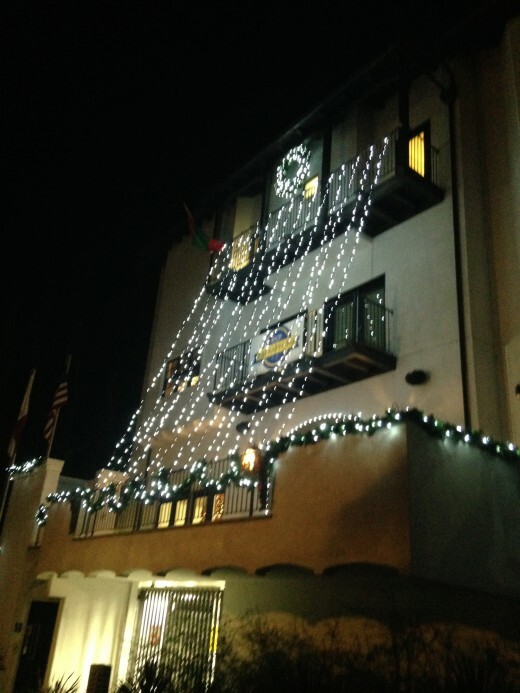 Additionally, if you look closely, there is an American flag made of dangling Christmas lights that were lit Thursday and extinguished Friday. Go figure. Bonus points: They did something. You tried, PiKapp, you tried. Bonus points: The alley looks much better in real life than it does in this picture. 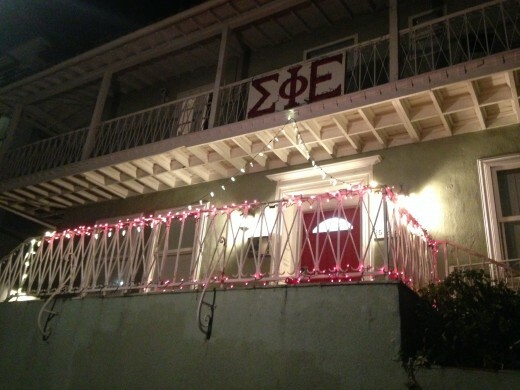 Sig Ep’s colorful string lights are arranged in a shapely manner and provide some measure of holiday cheer to passersby. Bonus points: The red garland matches the red door. Well played. 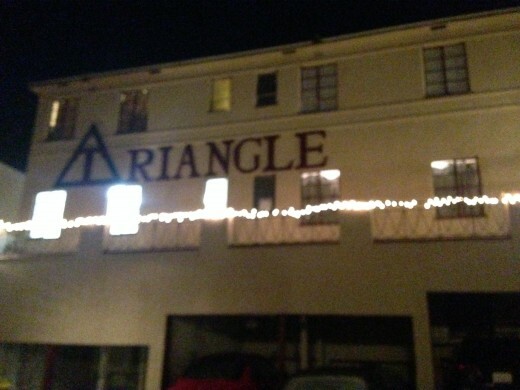 We can’t vouch for Triangle’s contribution to the fraternity holiday scenery, but there is something to be said for a simple string of lights. Bonus points: The display makes (geometric) sense. 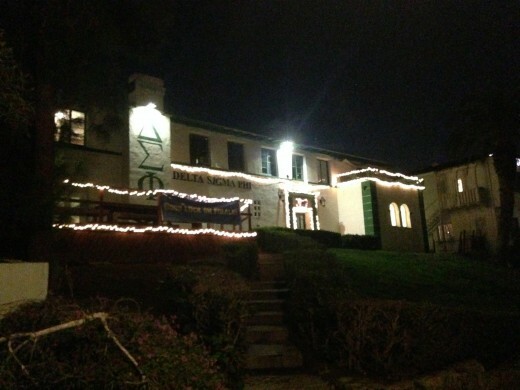 Now, Delta Sig looks nice. 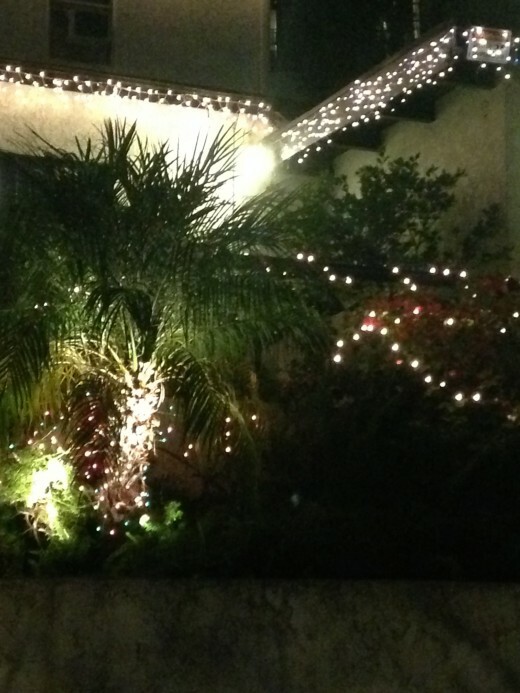 Using only white lights was a good call considering the green accents on the house. 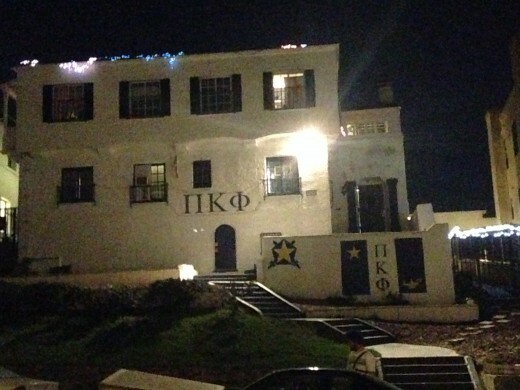 The lights are expertly arranged in straight lines (cough PiKapp cough). The display isn’t the most impressive and original, but hey, it works. 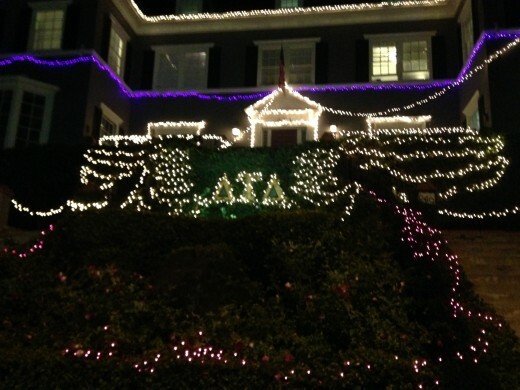 Bonus points: Delta Sig followed the house’s natural outlines. 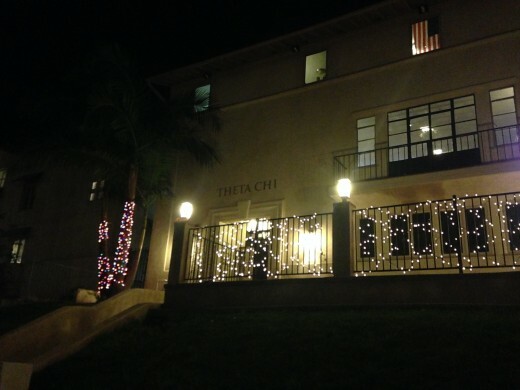 Theta Chi looks pretty and tasteful, but lacks a “wow” factor. Bonus points: The recent renovations make everything better. 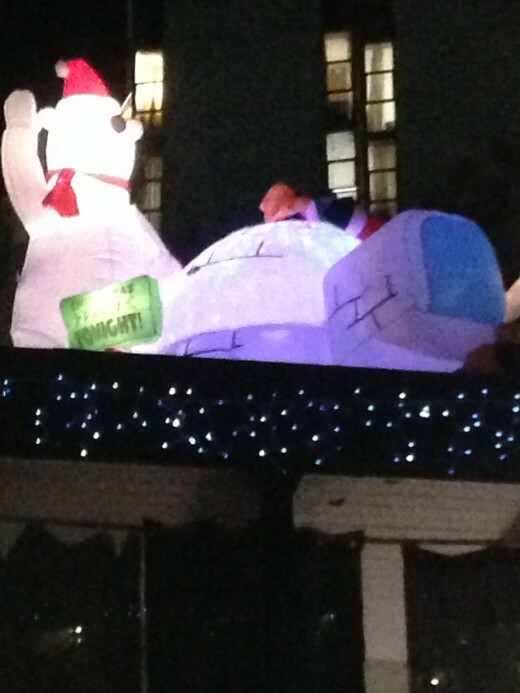 There is a lot of pressure on Beta to perform around Christmastime. The house is large and located at the intersection of pretty much everything. This means a lot of foot traffic and a whole lot more judgmental stares. 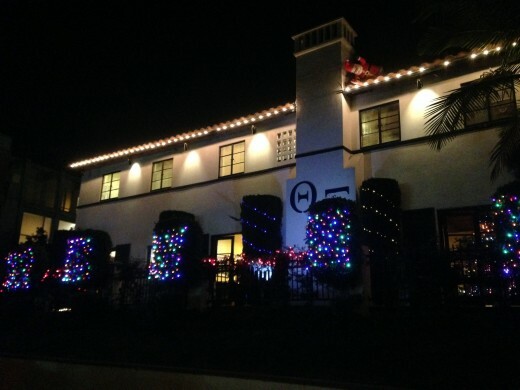 The house looks festive, colorful and does not disappoint. However, the shapes and colors on the house don’t really come together in any sort of cohesive display. Bonus points: We love the lights on the ramp. 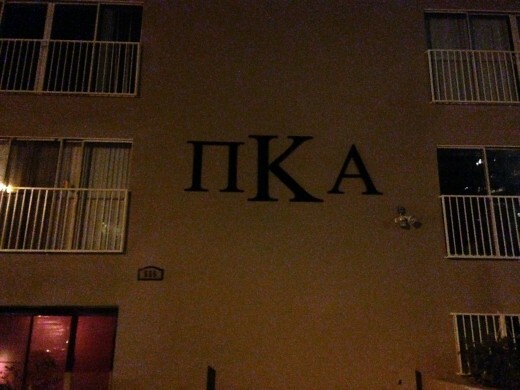 A(lpha) for effort, Beta. AEPi doesn’t have much to work with area-wise. The house is much smaller than some of the other fraternities, but this year the chapter successfully presented the Westwood population with an aesthetically pleasing display. Bonus points: The blue letters with the white lights are captivating. AGO has a wonderful canopy of lights strewn across its house that puts neighboring houses to shame. 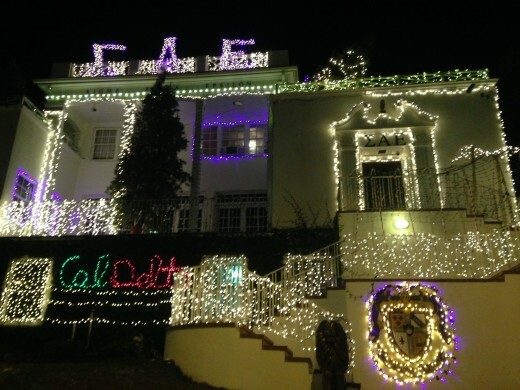 The fraternity respected the formula for holiday lights and did so successfully. Bonus points: We love the simplicity of this elegant yet cheerful display. 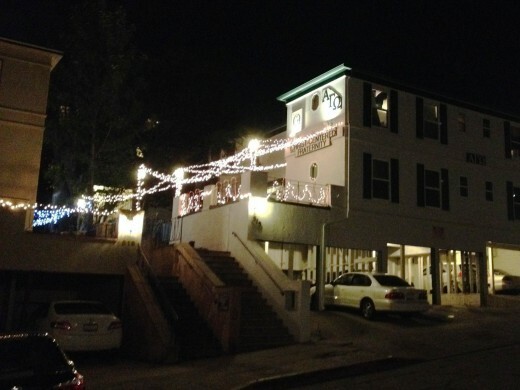 The Lambda house looks festive and cohesive, if not incredibly original. Passersby don’t feel cheated and can fully revel in the joy of the season as they make their way up and down Strathmore Drive. 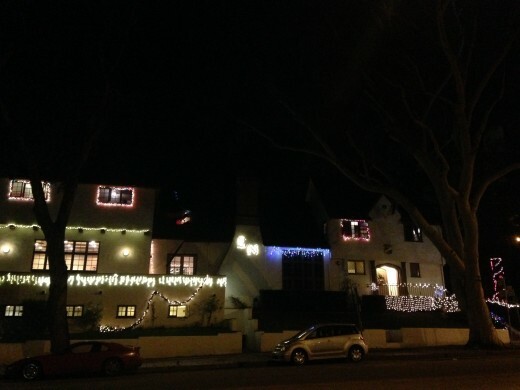 Bonus points: Lining every single window with lights? That cannot have been easy to do, so props. We’re not convinced we like the purple at DTD, but that’s just us being terribly critical. The members obviously made every effort to deliver light-heartedness (get it?) this Christmas season. They did a fantastic job of outlining the house’s symmetry, but this would have been more difficult on an oddly shaped edifice. 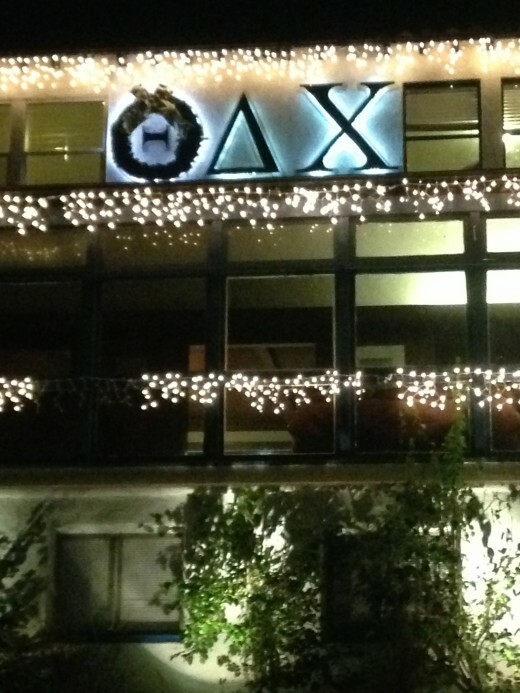 Bonus points: The lit-up Greek letters are joyous. 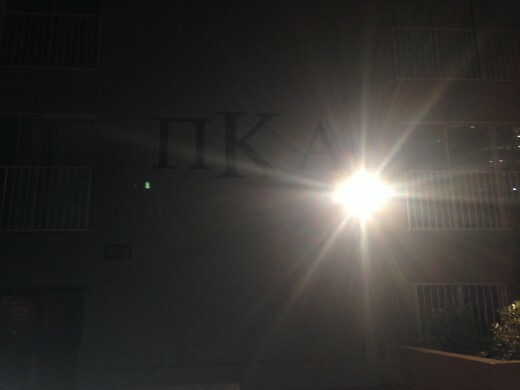 Phi Psi is currently recruiting, but whoever put up these lights deserves recognition. 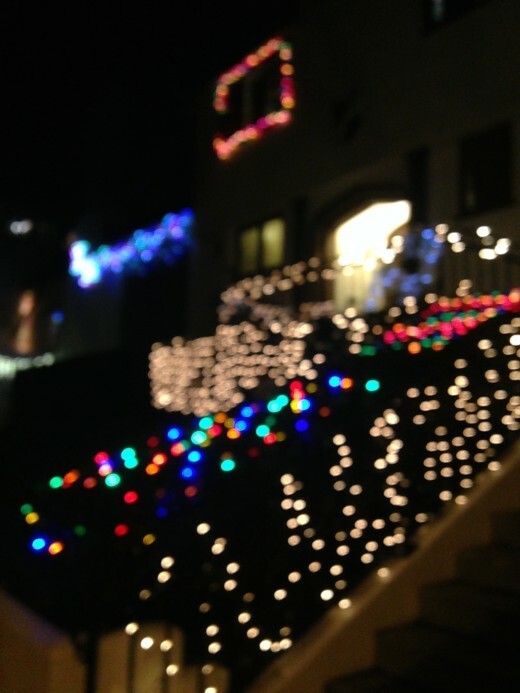 The house looks great and turns heads with its strings of lights skillfully linking the railings together. Bonus points: The wreath of lights makes the perfect finishing touch. 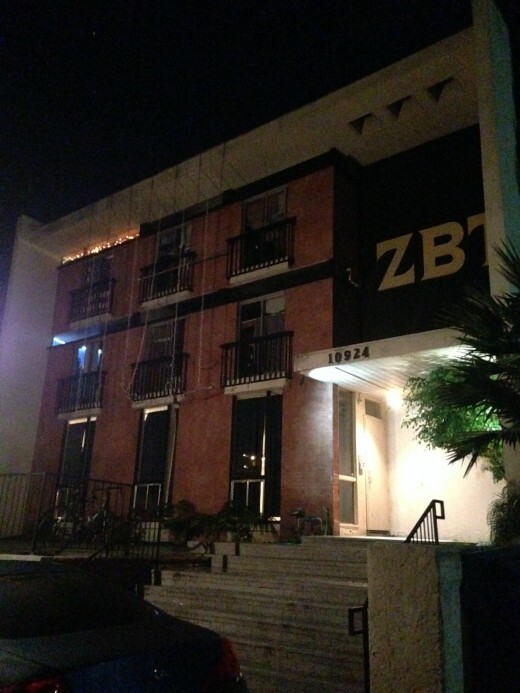 Theta Xi made the most of its existing features, namely the row of bushes and the emblematic palm tree. The display also creates the perfect color balance and just looks straight-up pretty. Bonus points: Santa is by the chimney, which is genius. 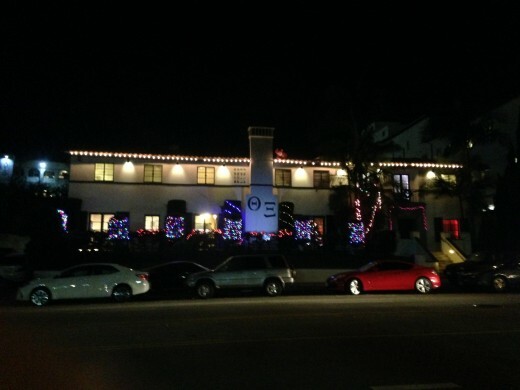 Sig Nu pretty much looks like a gingerbread house on a normal day, so we’re not surprised at how good the house looks during the holidays. There might be a little too much going on, but we’re being nitpicky. The entrance looks incredible. 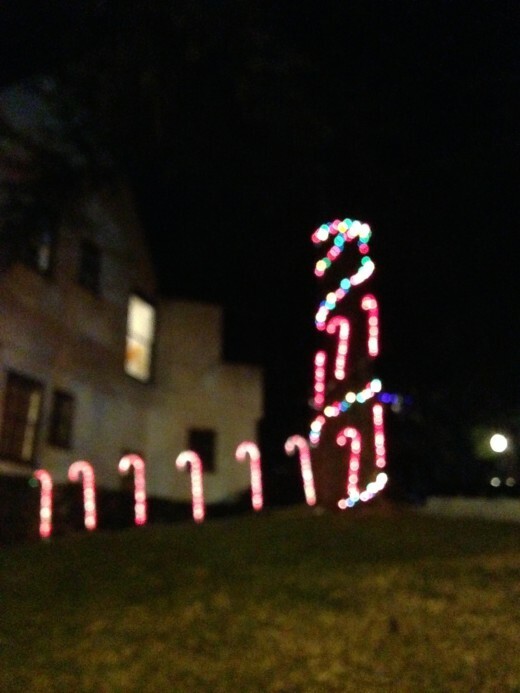 Bonus points: Light-up candy canes and the tree. Best enjoyed slightly blurry. Classic, effective, pretty. 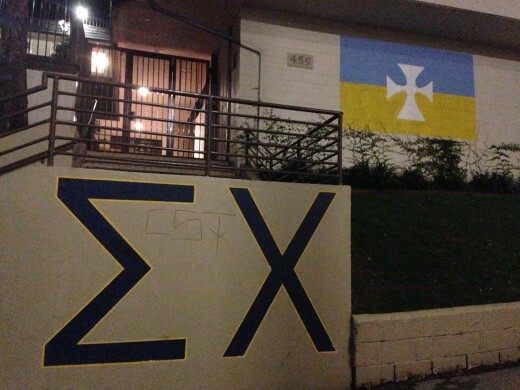 Good job, Sig Pi. Bonus points: This display achieves a perfect (and symmetrical) balance of colors, and it looks good doing it. We’re playing devil’s advocate here. 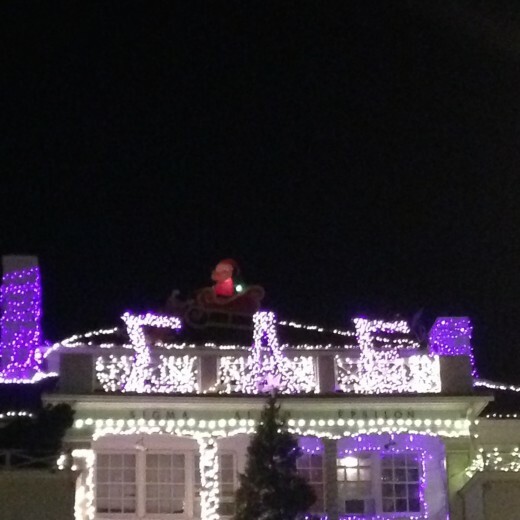 For most, SAE’s annual holiday light show is the undisputed winner; we just see value in minimalism. 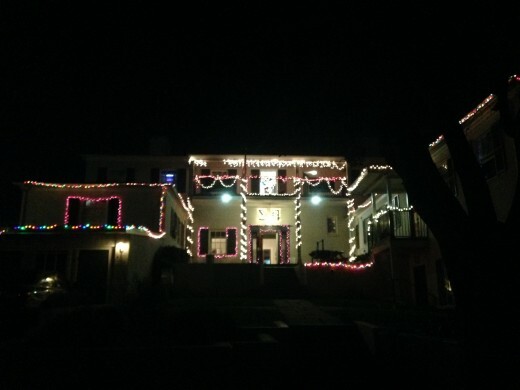 That being said, the decorations are undeniably impressive and the fraternity’s attention to detail is admirable. Sig Alph goes where other houses don’t venture, even if it means creating a melting pot of colors and shapes and words. Bonus points: Look! It’s Santa on his sleigh! We’ll admit to being slightly biased by the design of the house itself, but we are thoroughly impressed. 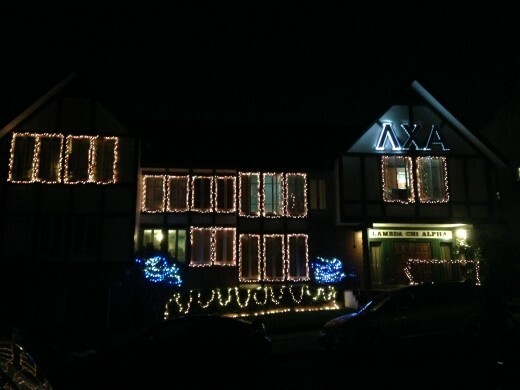 TDX marks its first year as a reinstated chapter – the fraternity is recruiting members again – with a holiday display that is nothing short of beautiful. 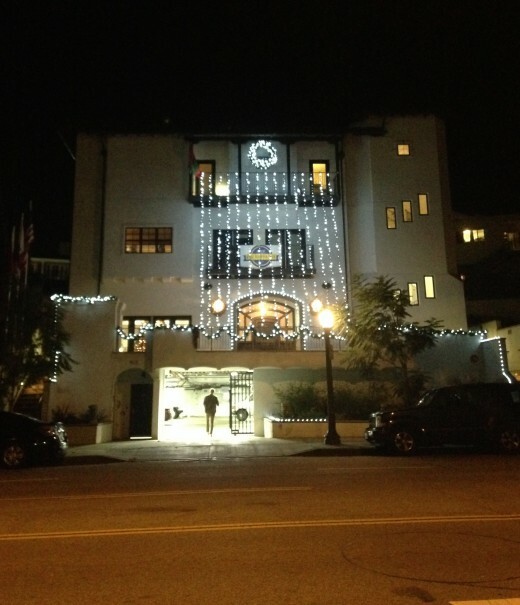 The lights are understated, yes, but tasteful and detail-oriented. 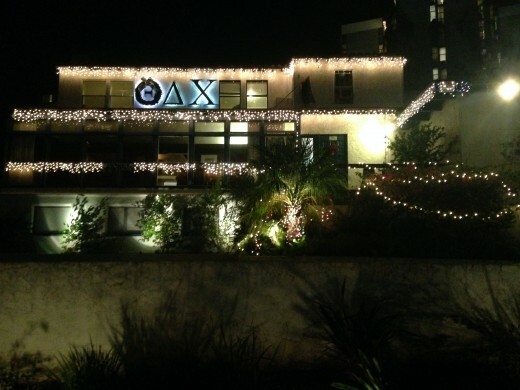 Bonus points: We like the fun blow-up snowmen on the roof, and the theta is a wreath! That is all. Who’s your number one? Tweet us @dbmojo or comment below to let us know. 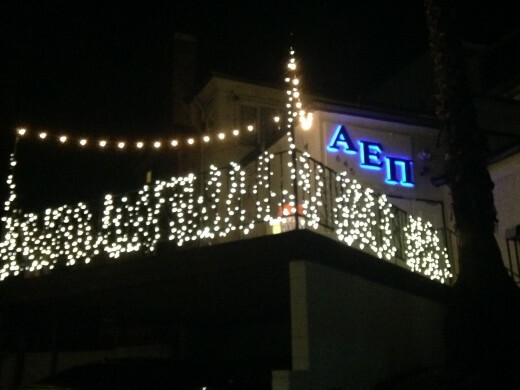 This post was updated at 10:05 p.m. to add Alpha Gamma Omega to the rankings.